AKIPRESS.COM - Turkmen Ministry of Foreign Affairs received World Bank Regional Director for Central Asia Ms. Lilia Burunciuc and World Bank Country Manager for Turkmenistan Mr. Jan-Peter Olters on March 5. 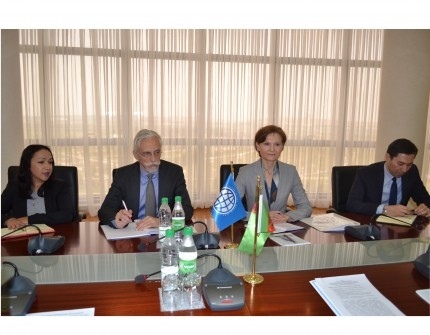 They discussed developing cooperation between Turkmenistan and the World Bank, World Bank assistance to the International Fund for Saving the Aral Sea chaired by Turkmenistan. "The representatives of the Bank expressed great interest in developing cooperation on the regional level and highly appraised the assistance projects of Turkmenistan to neighboring Afghanistan," the Turkmen foreign ministry said.